Increasingly, Facebook and other social media postings are entering the courtroom as employers use them as evidence for taking adverse action against employees. Here are two cases regarding Facebook and the Family Medical Leave Act (FMLA) which serve as models for employers on this issue and offer six (6) important lessons. In Lineberry v. Detroit Medical Center, a federal district court ruled that an employer is entitled to fire an employee if they have an "honest belief" that he or she is abusing FMLA leave. In the case, Carol Lineberry was employed by Detroit Medical Center as a Registered Nurse. She injured herself on-the-job when moving stretchers, was treated by her physician, and was told not to return to work. As a result, Lineberry received approved FMLA leave from her employer. While on leave, Lineberry took a vacation to Mexico. The trip was approved by her physician who stated that the vacation would not conflict with her recovery nor would be as physically demanding as performing her job duties. During her vacation, however, Lineberry posted photos on Facebook suggesting that she misrepresented her need for FMLA. Her coworkers saw these postings and complained to Lineberry's supervisor. When questioned, Lineberry informed her supervisor that she used a wheelchair during her travel, however during a subsequent disciplinary meeting, when reminded that airports have cameras, admitted to lying about using a wheelchair. As a result, Detroit Medical Center terminated Lineberry for dishonesty and falsifying information. Lineberry sued the hospital, alleging that it interfered with her FMLA rights and retaliated against her. The court considered Lineberry's Facebook postings and dishonesty about the use of a wheelchair as facts which led Detroit Medical Center to reasonably believe that she had misused FMLA leave. A similar case, Jaszczyszyn v. Advantage Health Physician Network, involved Sara Jaszczyszyn, a customer service representative employed at Advantage Health Physician Network. Sara requested and obtained the appropriate medical certification for intermittent FMLA leave as a result of a car accident. After receiving certification, Sara was absent for a continuous and open-ended length of time. While on FMLA leave, Sara posted pictures of herself at a festival, socializing and enjoying time with friends. Her coworkers viewed these pictures and complained to their boss. Sara was eventually terminated and filed a retaliation claim against Advantage Health Physician Network. Sara's claim was dismissed by court, primarily because the organization was able to show that it had an honest belief that she was engaging in fraud and relied on facts in its decision to terminate her. Also, the organization conducted a complete and thorough investigation of the issue and inquired about the discrepancy between her claim and Facebook photos. Social media postings may be legitimate evidence, coupled with other relevant facts and evidence from many different sources, to aid in an investigation and substantiate that an employee is abusing or misusing FMLA leave. Coworker complaints or reports about behavior on Facebook and other social media websites can be taken seriously and may prompt further investigation. Employers are permitted to properly investigate an employee's FMLA leave if they suspect that an employee is violating the terms of their leave. It's important to follow your disciplinary policy and procedure. These organizations remained compliant and consistent with their disciplinary policies and procedures, and took steps to obtain the appropriate information prior to terminating the employees. Organizations should obtain the appropriate information about an employee's medical restrictions under FMLA before taking adverse action on an employee. 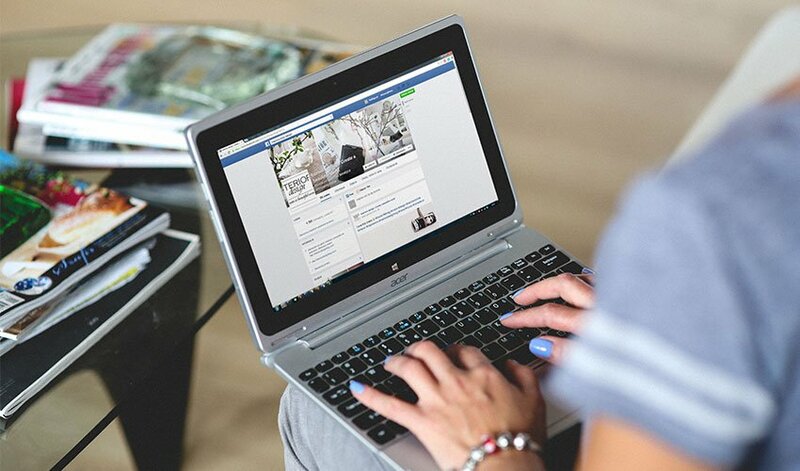 Employers should focus on responding to complaints about Facebook and other social media behavior, rather than routinely "spying" on employees' Facebook profiles and social media behavior. There will undoubtedly be much more case law to glean insights from as Facebook and other social media postings make their way into the courtroom. As these cases unfold, employers should use them as models and lessons for how to manage FMLA and other employment laws. FMLA Administration & Services: ERC's Preferred Partner, CareWorks, provides ERC members with discounts on services related to day to day management, tracking, and overall administration of FMLA. CareWorks' approach is outcome-based, streamlined, and cost-effective, and ensures that claims are handled consistently and in compliance with state and federal laws. Employment Law Fundamentals: This seminar is designed to provide managers and supervisors with an overview of relevant employment law considerations and to support a proactive, positive work environment. Presented in an interactive style, this seminar can be customized to specific topic areas desired by the employer.